Pork CRC has announced the appointment of agricultural scientist Professor John Pluske to its board. 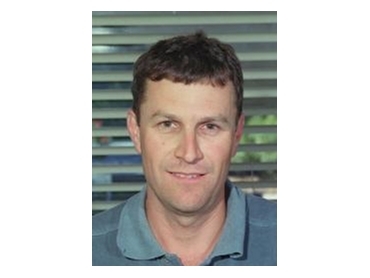 He is Director of the Animal Research Institute at one of the CRC’s core participants, Murdoch University, Western Australia and will represent Murdoch on the board. Welcoming him to the board, Pork CRC Chairman, Dr John Keniry, said his skills and experience would further the CRC’s contribution to Australia’s pork industry. “John’s research and work in pig nutrition, digestive physiology and gastrointestinal tract diseases will greatly benefit Pork CRC’s work keeping Australia’s pork industry internationally competitive,” Dr Keniry said. With experience gained in Australia, Canada and New Zealand, Professor Pluske brings a strong international perspective to Pork CRC. His current research interests include antimicrobial compounds in piglet diets and the role of nutrition and environment in modifying immune function and the gastrointestinal microbiota. He is also interested in feedstuff evaluation and controlling enteric diseases in pigs nutritionally, without antimicrobials and has been leading Pork CRC subprogram 2B, which aims to improve feed intake and performance of pigs immediately after weaning. Professor Pluske also helps recruit and train undergraduate and postgraduate students for Pork CRC and is a member of Pork CRC Education Committee. He replaces Murdoch University’s Professor Jim Reynoldson on the board. Dr Keniry thanked Professor Reynoldson for his work. “With his vast experience in pharmacology and anti-parasitic chemotherapy, Jim made an outstanding contribution to the work of the board and the functioning of Pork CRC during the last two years. Jim’s extensive managerial experience in the university sector and his strong links with the pork industry have been invaluable,” Dr Keniry said. Pork CRC Board comprises Dr John Keniry (Independent), Enzo Allara (Australian Pork Ltd), Brian Halstead (Independent), Rodney Hamann (Australian Pork Farms), Professor Simon Maddocks (SARDI), Andrew Maughan (Independent), Samuel McIvor (NZ Pork Board), Associate Professor Wayne Pitchford (University of Adelaide), Professor John Pluske (Murdoch University), Nigel Smith (Independent) and Dr Robert van Barneveld (CHM Alliance).